Once you’re here, it gets easy. 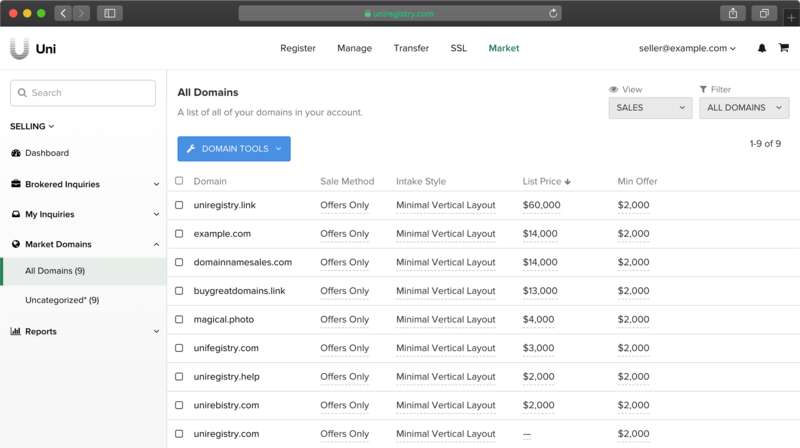 The Uniregistry Market is changing the way you buy and sell domains. 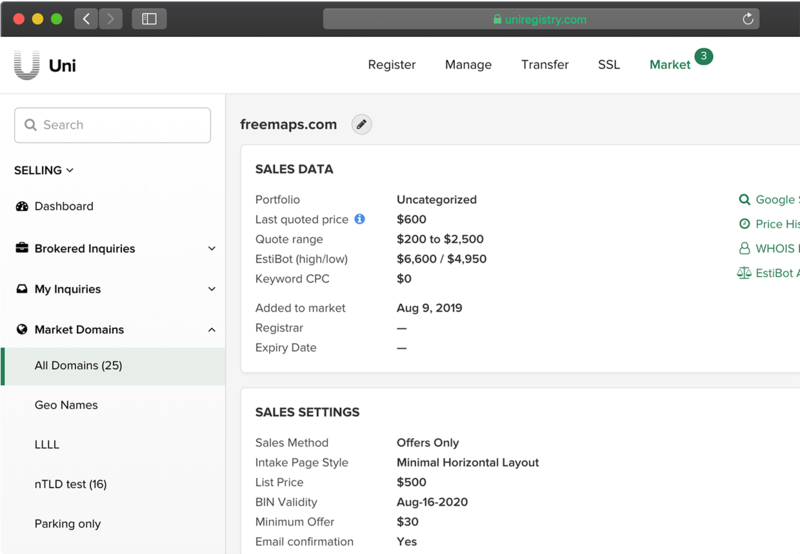 Buy, manage, and sell a domain in less than 60 seconds—that’s the magic of combining a premier domain sales service with the best registrar there is. No hassle, no complicated systems to learn. Import all your names with a single click. We’ll even run them through EstiBot for an educated guess of their values. 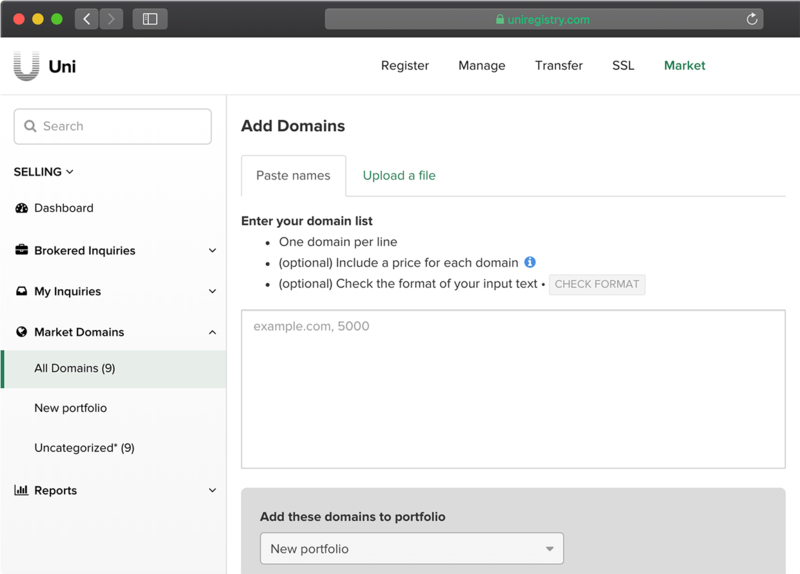 For domains that already live at Uniregistry, just click on the drop down menu and choose ‘Add Domain to Market’ to list them for sale. No hurdles, no mess—a platform that just works. Have all the information you need to make the best decision on when to sell. We gather information from multiple sources and display everything to you. The standard for all accounts. 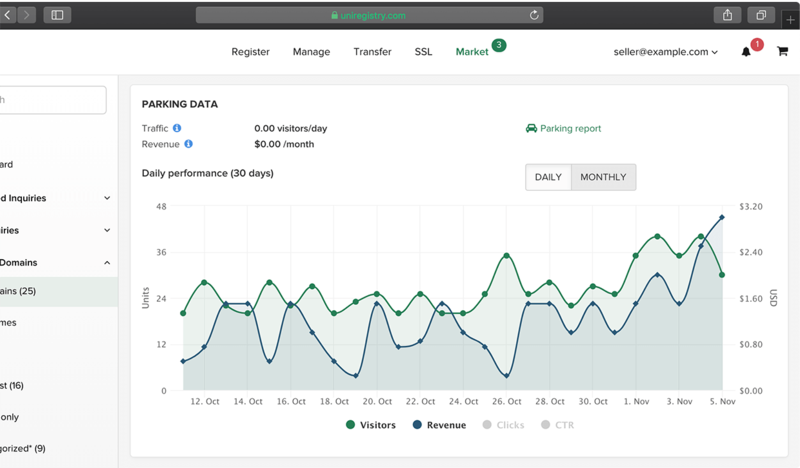 List them for sale, mark them for offer only, or just simply park them to watch the revenue roll in—we don’t dictate how you use your domains. We do, however, give you a complete set of tools so that whatever you decide to do can be done. One inquiry or a million, our tools do more. 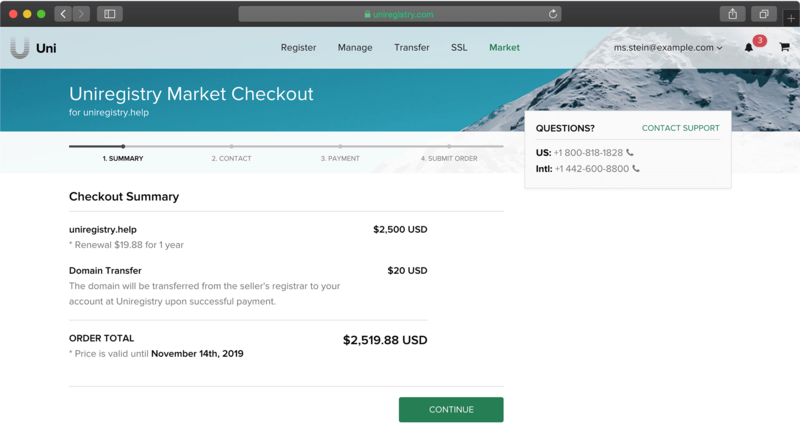 Accept the deal, send the checkout link, then sit back and relax. We’ve built our Secure Exchange technology into the Market—that means we take care of everything from the time you say ‘It’s a deal’ to the time the funds are received into your account. It’s pretty cool. 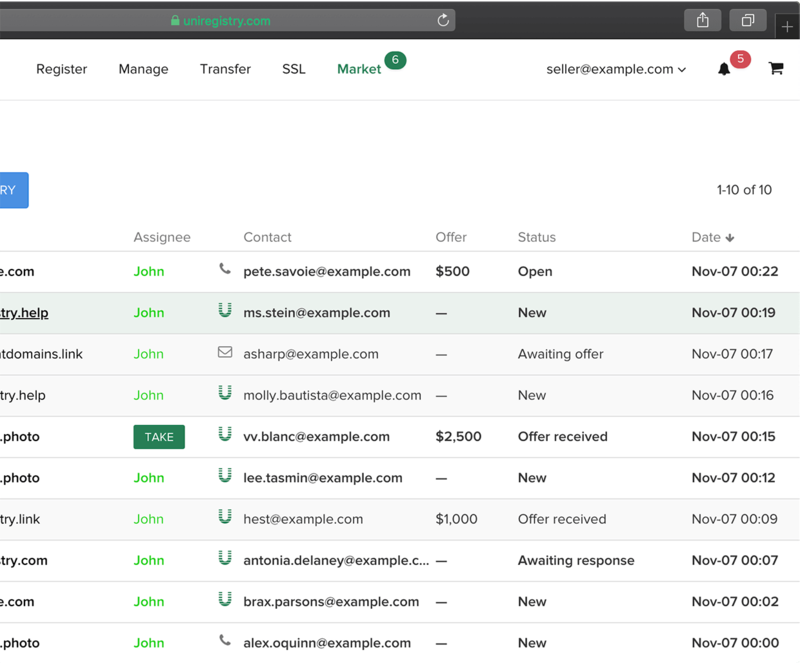 Complete sales with ease.